Democratic Gov. Janet Mills has picked the executive director of Maine Farmland Trust to become the commissioner of the Department of Agriculture, Conservation and Forestry. Mills will nominate Amanda Beal to lead an agency that oversees a wide range of interests, including land conservation, commercial farming and the state's once mighty wood products industry. "Amanda has dedicated much of her career to supporting Maine’s agricultural economy and bolstering conservation efforts across the state," Mills said in a statement. "Her wealth of knowledge, experience and skills will be a valuable asset to the people of Maine as she undertakes the role of leading the Department of Agriculture, Conservation and Forestry." Beal, also in a statement, said that she'll work with all stakeholders served by the Department of Agriculture, Conservation and Forestry. "To a large degree, our state is characterized by the intersection of agriculture, conservation and forestry, and, to that end, I believe it is up to this Department to lead the state’s efforts to maintain that brand, our way of life, and our culture. Ensuring that these sectors thrive is not only necessary for the economic health of our state, but for sustaining many of the essential qualities that define Maine,” said Beal. “As Commissioner, I will work hard to help farmers of all sizes and types of production, to steward our public lands, to lead in marketing and supporting our commodities, and to manage our forests economically, appropriately and responsibly." Beal's nomination is being applauded by conservation groups, while members of the forest products industry are saying they are hope she will be receptive to their concerns. Beal, the daughter of a dairy farmer, became the director of Maine Farmland Trust in 2015. The organization boasts having conserved tens of thousands of acres that could have been developed for other purposes. As head of the organization, Beal has also promoted sustainable local farming, framing the Maine movement as a socioeconomic, environmental and health care-related issue. "Food, how it is produced and how it is accessed, is one of the most important issues facing us today, but as a state, and as a nation, we don't treat it that way." Speaking at an event sponsored by Maine Magazine last fall, Beal argued for the need to integrate farming and food policy with other big policy issues. "Instead, our policymakers, they wrestle with issues like health care costs with siloed thinking, unable to recognize that our food policy plays a major role in that and other key issues that we face," she said. "I don't know Amanda Beal," said Patrick Strauch, director of the Maine Forest Products Council. Maine Forest Products Council is an industry group that represents the state's influential forest products industry. It's a sector worth over $8 billion, and, according to a 2016 study, it has employed over 33,000 people. Strauch said that forest products-producers participate in a global market, one that may be unfamiliar to Beal. "So I look forward to talking to Amanda and seeing if she understands the magnitude of the responsibility ahead of her," Strauch said. Meanwhile, the Maine League of Conservation Voters (LCV) is thrilled with Mills' pick. LCV's Maureen Drouin said Beal's background is a perfect for the agency. 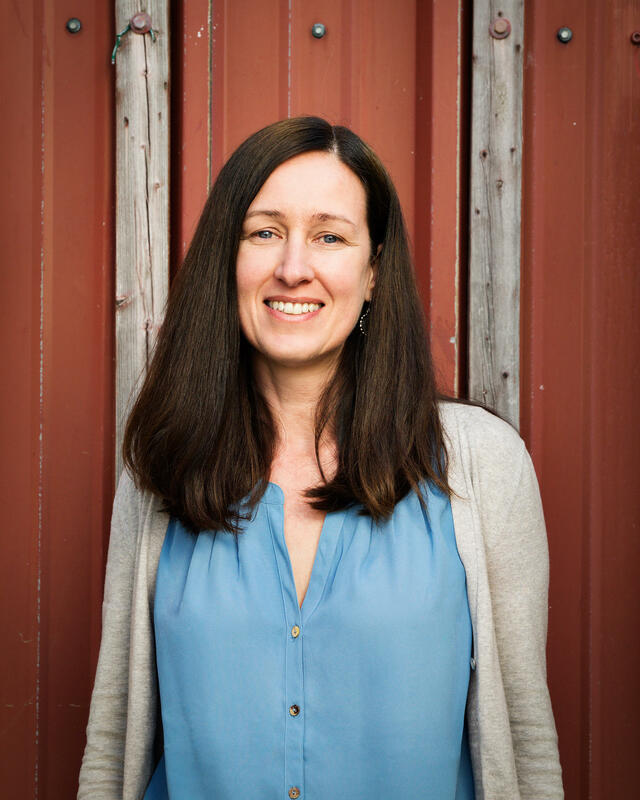 "I think Amanda's experience growing up on a dairy farm, her knowledge and deep expertise in food systems, and her background in working farmland conservation at Maine Farmland Trust make her an exceptional candidate," Drouin said. Drouin, whose organization spent nearly $1.5 million boosting Democratic candidates last year, including Mills, said conservation issues received short shrift under the LePage administration. "There were attacks on programs like the Land for Maine's Future program, a focus on increased timber harvesting on public lands," she said. The divergent response to Beal's nomination highlights the difficulties she could encounter balancing the competing interests that fall under the Department of Agriculture, Conservation and Forestry.The agency was consolidated during the LePage administration, despite concerns that interest groups would lose their voice in a larger department. It's now the target of legislation that seeks to break the agency apart. Gov. Mills has been lukewarm about the proposal, but she's enthusiastic about Beal, who owns a woodlot and is steeped in farming. "She's got dirt under nails. She also smart, academically-smart, she's a people person," Mills said. Mills acknowledges that the agency which Beal could oversee manages competing interests, but she said that the offices within the agency are dedicated to each issue area, and Beal will build a team of deputy directors to meet those needs. "I'm not going to allow state government to neglect our stewardship of public lands. I'm not going to allow state government to fall down on our responsibility to market and support our commodities to the fullest extent, whether it's blueberries or potatoes or the dairy industry. Or to fail to manage our forest and public lands sustainably, economically and appropriately in all respects," she said. Beal's nomination, as wells Mills's 13 other cabinet picks, must be confirmed by the state Senate. Confirmation hearings will be held later this month. Updated 5:39 p.m. Jan. 18, 2019.